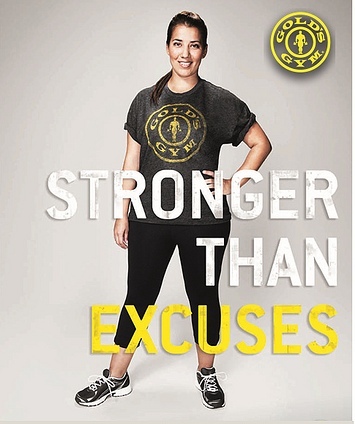 That is my favorite Gold’s Gym mantra from their campaign this year. I even have the t-shirt (although I don’t wear t-shirts really). I’ve thought about it more and more in the last few days. I’ve had a rough time since Saturday. It’s a combination of things, physically, mentally, and emotionally. Some are related to my current health situation, some due to work, some due to personal things. I am not sure i’ve ever been so upset and stressed out. But I will NOT make excuses. I am STRONGER THAN EXCUSES.